[tps_footer]Balika Vadhu has been one of the longest running shows of Indian Television and has crossed many milestones over the years. Anandi’s character has found a special place in everyone’s heart and has been one of the most loved characters till date. Drawing inspiration from Anandi’s appeal when she was a child, Colors has associated with SphereOrigin to launch a home-grown animated series as a first-of-its-kind extension of a popular Hindi television character called ‘Chhoti Anandi’. 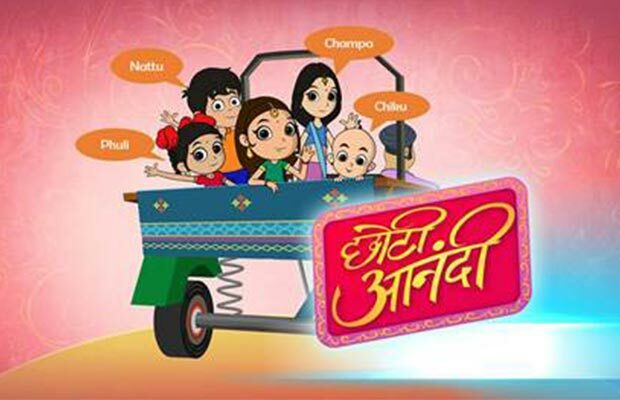 Taking the first step towards building its Sunday morning programming, Colors and Rishtey will simulcast ‘Chhoti Anandi’ starting January 17, 2016 every Sunday at 10am. A first-of-its-kind, fun filled animated series will capture adventures of Anandi’s playful childhood. Chhoti Anandi is an 8 year old brave, righteous child and an apple of everyone’s eye. She is wise beyond her years and is known to find innovative and unique ways to solve problems of her village folks. The series will highlight her entertaining yet mischievous side as she explores innumerable escapades in the company of her friends in the by lanes of a village in Rajasthan. Chhoti Anandi and her pack of friends aka Chhote Sipahi will be seen going on an adventurous joyride from Amazon Jungle, to the era of Dinosaurs, and also to the period when kings and queens reigned. The Chhote Sipahi comprising of Phuli, Nattu, Champa and Chiku, together amplify the fun quotient every time Chhoti Anandi meets with a new situation. As Chhoti Anandi’s right hand, Phuli is her closest friend. She is the naivest and most gullible of them all, yet charms everyone with her cuteness and innocence. Nattu is extremely competitive and aspires to be a leader. He opposes everything that Chhoti Anandi says and constantly tries to outdo her. Champa, the oldest member of the group, is a conformist and very practical by nature. And Chiku, the youngest member of the pack, is the most mischievous sipahi of them all. Along with journey that these 5 partake together, audiences will get to see a similar backdrop, colour and music as that of Balika Vadhu with an inspiring message for the viewers at the end of every episode. The animation for the series Chhoti Anandi has been done by Anish Patel, founder and CEO of HopMotion animation studio. Next articleAirport Dairies: Virat Kohli, Sachin Tendulkar, Harbhajan Singh And More Snapped!